Show your love for stylish and finely crafted pieces of jewelry with this alluring pair of earrings. Its chic design highlights the brilliance of lab grown diamonds by embedding them in flawlessly crafted kite-shaped frames. These prong set, eco-friendly gems dazzle endlessly, and elevate the appeal of the fashionable design. 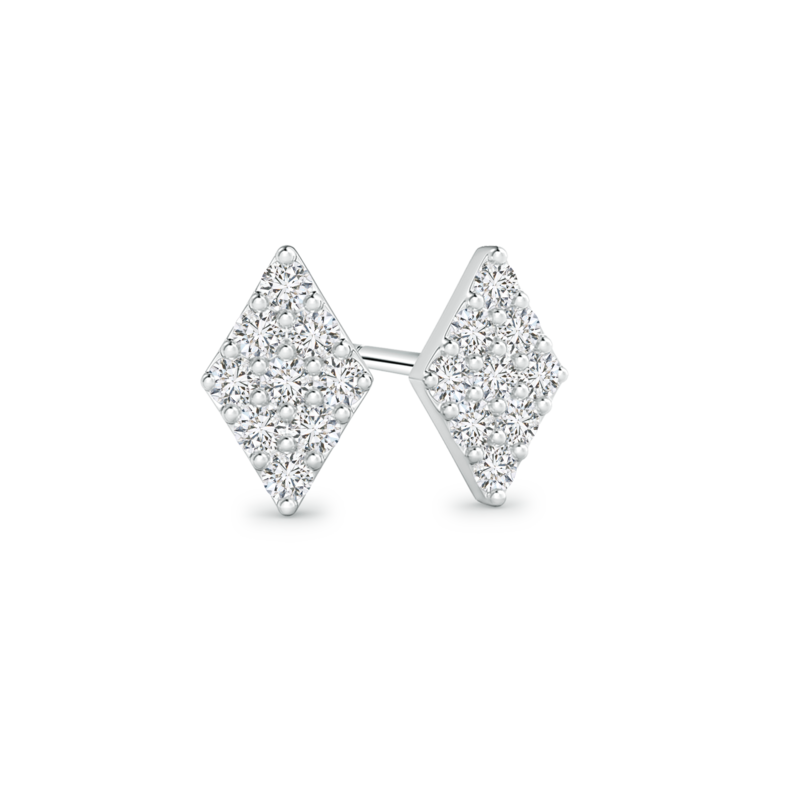 This pair of versatile, lab grown diamond earrings is crafted from 14k white gold metal, which completes the look with its distinctive luster.